We love steam boats! 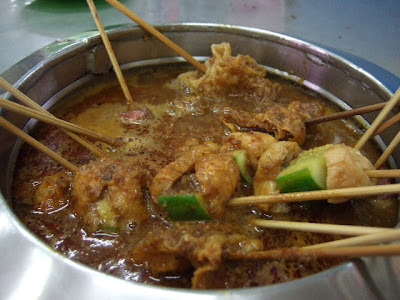 Gathering with a group of friends - dumping different types of ingredients into hot chicken soup or tom yum soup - then scoop them up into our bowls and add in our own choice of savoury or sweet sauces! 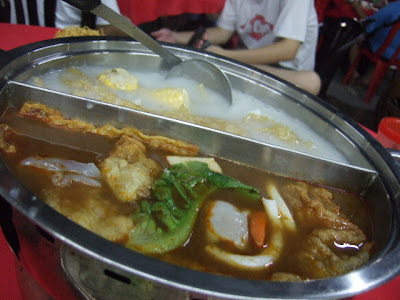 When I went to KL - I get to try this different type of steamboat. 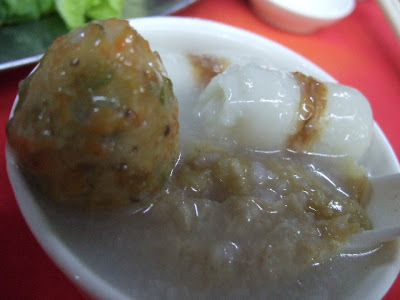 Instead of using soup, they use porridge as the base. 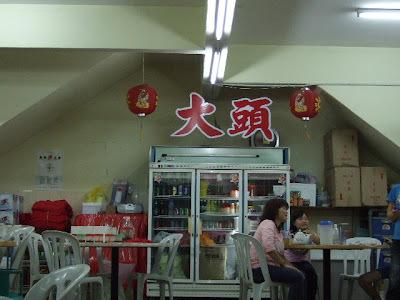 The restaurant is called "BIG HEAD" restaurant - if you can read Chinese, you can read their logo. 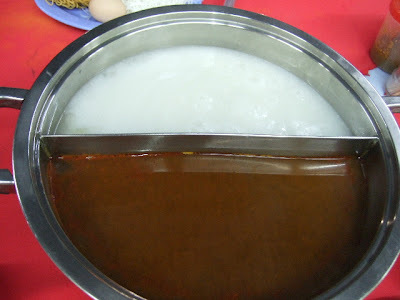 We ordered two bases: One is Tom Yum Soup base which we see quite often in Brunei, on the other side, you'll see the Porridge base. Tadaa~~ now to enjoy my porridge. The ingredients help to give the porridge - it gets sweeter and more fragrant as we dump more ingredients in. 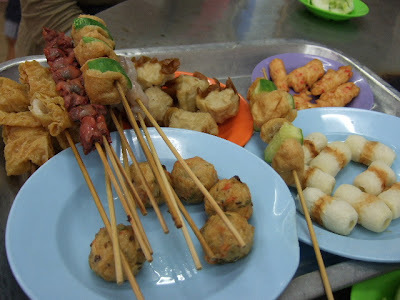 They also have nice condiments and sauces to enjoy with your steamboat. 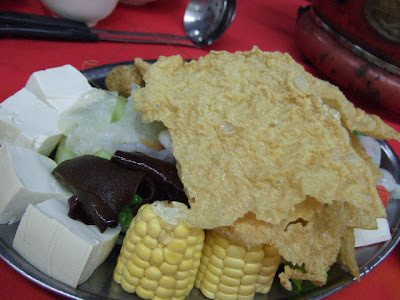 Next time when you have a steamboat gathering with your friends, consider porridge as your steamboat base for a different experience.